It is interesting to note that as important as is the doctrine of the atonement in Christian theology, the word itself occurs only once in the King James New Testament. It is in the very next verse after our text. “And not only so, but we also joy in God through our Lord Jesus Christ, by whom we have now received the atonement” (v. 11). The Greek word is translated “reconciliation” in 2 Corinthians 5:18: “All things are of God, who hath reconciled us to himself by Jesus Christ, and hath given to us the ministry of reconciliation.” Thus, the doctrine of atonement is the doctrine of reconciliation. Men are separated from our holy God both by their sin nature and also by their actual guilt of committed sin. But through the substitutionary death of Christ for our sins, “we were reconciled to God by the death of his Son.” That is, God has already reconciled sinners to Himself by the sacrificial death of His Son, the Lord Jesus Christ. The problem is that sinners are not actually reconciled to God until they personally accept this free gift of God’s love to them. 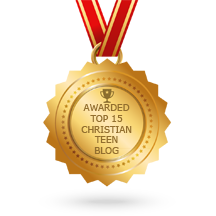 This entry was posted in A CLICK A BLESSING TODAY, CHRISTIAN NUGGETS and tagged Reconciliation. Bookmark the permalink.